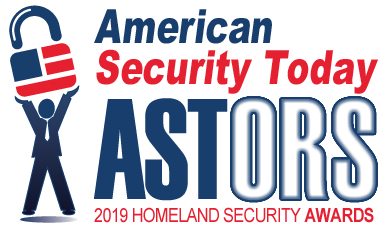 A Fixed Tower (IFT) border security system from Elbit Systems of America, the ‘ASTORS’ 2016 Homeland Security Awards Program Platinum Award Winner for Best Federal Government Security Program, has passed U.S. Customs and Border Protection (CBP) systems acceptance testing. This IFT system, located in the Douglas, Arizona, Area of Responsibility (AOR), marks the company’s second successful deployment of the system, with the first occurring in the Nogales, Arizona, AOR. “We achieved this important milestone by working closely with CBP and understanding their agents’ needs,” said Raanan Horowitz, CEO and president, Elbit Systems of America. As the system integrator, Elbit Systems of America furnishes the sensor towers with radar, day/night cameras, and command & control software, which correlates sensor information to provide a single operating picture. Information from all the towers is networked into Border Patrol Station command and control centers, which increases situational awareness for Border Patrol Agents. The IFT’s high reliability and proven contractor logistics support provides CBP with 24/7 surveillance coverage. The system also provides CBP with a platform to integrate existing and future sensors to improve border protection and agent safety. The IFT program continues to deliver to customer performance and schedule requirements, as well as meet cost goals. On the path to system acceptance, significant milestones must occur. Several months of construction, integration, test activity, and system verification ensures each IFT meets performance requirements. Each system must detect, track, identify, and classify border activity. The Integrated Fixed Towers (IFT) system is an affordable, effective, and successfully deployed border security solution. It currently provides 24/7 surveillance capability along portions of the Arizona border. It uses radars and cameras mounted on towers, connected through a communications network to command and control centers at Border Patrol Stations. The system helps keep America and our U.S. Border Patrol Agents safe by providing a high degree of situational awareness along the border. The program was recognized by industry for innovative and best practices, program excellence, most notable border security program and best federal government security program. In addition to providing value-added Border Security solutions, the company also provides advanced capabilities for the nation’s military, commercial pilots, sustainment & support solutions, as well as life-saving medical instrumentation technologies. Elbit Systems GroundEye is a proven solution for providing operational control over wide stretches of terrain in both time and space. The capability includes high-resolution video capture, large area footprint recording, and analysis at close and long range. The SupervisIR is an infrared Wide Area Persistent Surveillance System (WAPS), which brings unprecedented surveillance and situational awareness capabilities to the user. The technology can be installed as part of legacy surveillance systems and networks, and used by border agents in vehicles or on the ground. With Widebridge Cloud™ and SmartResponder™, reliable, secure, and P25-compliant smartphones interoperate over LTE with Land Mobile Radio handsets in the field. This app-based solution extends situational awareness, first responder safety, and value to served communities. The VIDAR provides unparalleled utility and reliability to the UAS market. The battery-powered small UAS features a universal payload mounting system that enables one aircraft to support multiple vertically mounted payload configurations during any deployment. The Da-Vinci vertical take-off and landing (VTOL) is a low altitude, small UAS designed for a wide range of weather and terrain conditions. The Da-Vinci features an automatic takeoff and landing capability and autonomous mission ﬂights. Primrose Wireless Sensor Networks (WSN) are comprised of miniaturized, spatially distributed and bi-directional remotely monitored sensors. Deployed at the ground level, these standalone, self-powered, intelligent nodes cooperatively detect and track the movements of people, vehicles, and other events. Elbit Systems of America is a leading provider of high performance products, system solutions, and support services focusing on the defense, homeland security, commercial aviation, and medical instrumentation markets.